I've always preferred Christmas Eve to the actual day. One of the best things about holidays is the whole notion of "tradition" something I adore. Growing up, we spent Christmas Eve with my mom's side of the family: Grandma Pauline, Aunt Jeannie, and Uncle Butch. We ate overcooked ham, so dry you needed a steak knife to saw through it and opened loads of presents bought with money saved all year in the Christmas savings club at the bank. Of course, back then, I never appreciated the value. I just loved the presents … and the people, two of whom are no longer with us. That tradition is long gone, but we've forged new ones. Candelight service at church, going out to dinner at the Olive Garden, and driving around to look at Christmas lights. As it always was, the day is about family, perhaps even more so than Christmas day, which dawns with chaos. Yesterday, Grace stood next to me in the kitchen. Every few seconds she laughed inexplicably. I raised my eyebrow at her. She laughed again. As I stirred her Ramen, the nervous laughter disappeared. Quick. Hit the stop button. Rewind. Anything that would take me away from that moment. I was not ready. Everything in her face told me that every possible cute answer I might give was going to fail. Still, I threw a Hail Mary. 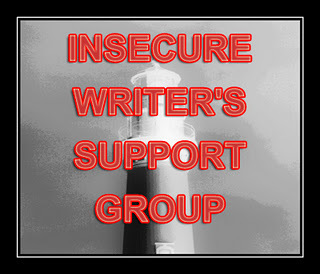 It's the first Wednesday of the month, and I haven't participated in Alex Cavanaugh's Insecure Writer's Group in a while, so I decided it was time. The biggest fear for so many authors is writer's block. What do you do when you're stuck? For me, another problem hits me hardest. What to do when you have too many ideas and not enough time to develop them? A couple of weeks ago, I attended my second writing conference, and I promised I would process that experience here. I'm going to walk through some lessons I've learned and offer advice based on my very limited experience. It probably shouldn't have come as a surprise to me that writing conferences could have such different feels to them, but it did. It probably stood out because both conferences were SCBWI regional events and within the same general geographic region. The first conference I attended a year ago was a full weekend event, including two nights, which afforded a significant amount of time for socializing. I interacted with agents and editors in that informal environment, and I even made friends in the process. However, I might argue that the sessions were also looser as a result, with less emphasis on the information and more on the networking. The second conference was very much the opposite. The schedule was packed. If I hadn't been meeting up with a friend from the previous conference, I don't know that I would have talked with anyone there. However, the sessions were stronger, and I felt like I learned more throughout the one day than I had in the entire weekend the year before. Some good news on the writing front. I have exciting news to share. I've had a piece published in a small literary magazine called, The Corner Club Press. In a world where rejection reigns, I'm so grateful for successes of any size. To write something and have someone like it enough to want to share it with others is a truly joyful thing. This short story titled, "More Than a Little," will publish in another journal later. I'm always hyper-critical of my own work, so I take no offense if it isn't your cup of tea, but if you have a minute, and you'd like to check it out, it's available for free reading. This journal is newer, and I thank the editors for their support and interest. Now, excuse me while I do a little happy dance before moving back into my self-deprecation mode. For the past couple of weeks, I'd set the alarm at five to push through as many words as possible in hopes of once again successfully completing NaNoWriMo. 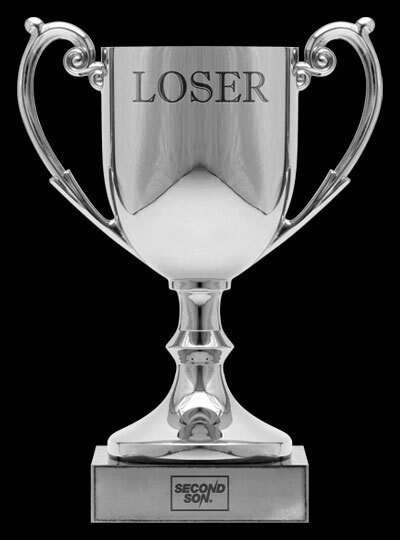 I'd looked forward to receiving that "winner" badge all year, and I'd known what novel I'd write for ages. My daughter had been begging for a sequel to last year's Nano Project. All was going well. Technically, it still is. I may not have been 100% happy with my plot, but I was on target to "win" a week early. This was a huge accomplishment in and of itself because I hadn't been writing much, and I was pleased I could still produce something ... anything. Plus, I found new ideas crept in when I wasn't looking, and I drafted another "Potential Projects" list. Then, I went to an SCBWI-IL event, Prairie Writer's Day, and I had a wonderful experience which is going to make me a loser. I sat through two sessions where first pages were read and editors/agents reacted. I was fortunate enough to receive honest and useful feedback from Molly O'Neill and Stacey Barney. During another insightful session Ms. O'Neill read pages from some of the work she's edited and then followed up by reading from first drafts which authors were willing to share. Suddenly, a lightbulb went on, and I knew what I had to do with both of my completed projects, including the one I claimed I was about to trunk--and it involves a re-write. I knew it was coming; I just didn't have a vision. Until now. So, I've decided to put my 25K+ Nano words aside in an effort to capitalize on my motivation and capture the flowing ideas on paper. Have I mentioned I'm competitive? I don't like failing Nano. But at the same time, I know that this is absolutely a winning situation. 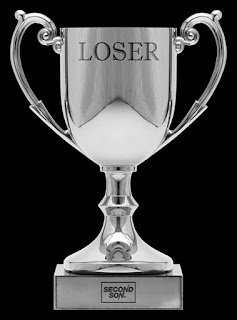 So, I accept my Loser Trophy with pride as I set my sites on a new goal. Sometimes changing course mid-stream is the best thing to do. Any experiences where changing goals worked out in your favor? College major? Career? 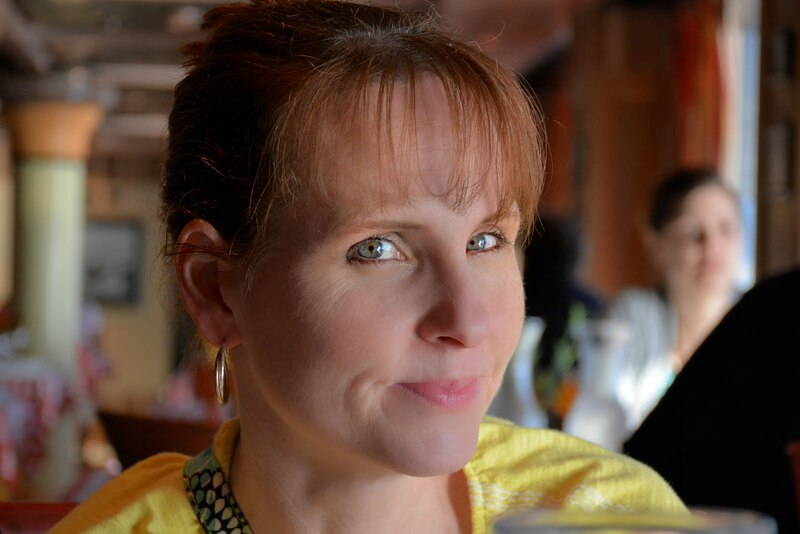 It's a Virtual Launch Party for Susan Kaye Quinn's Open Minds!!! 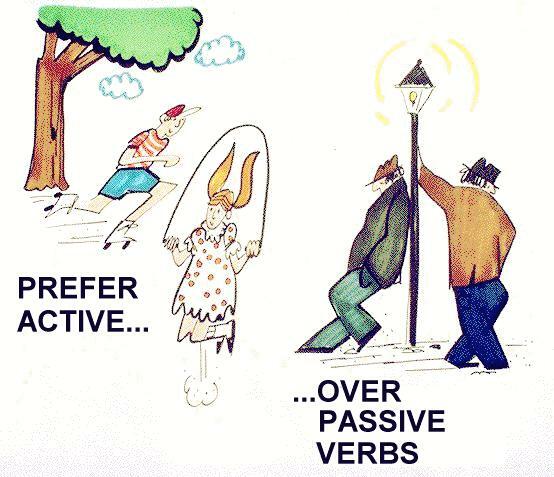 Write First, Then Outline - Wait, That's Backwards? Drafting my paranormal/SF teen novel Open Minds (Book One of the Mindjack Trilogy) was hardly a straight-line process. 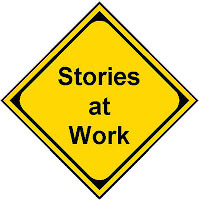 When I finished (the second time), I took a break from the story and worked on other projects. I had a nagging sense that the story in Open Minds wasn’t quite right. It had all the elements of right, but it wasn’t really there yet. 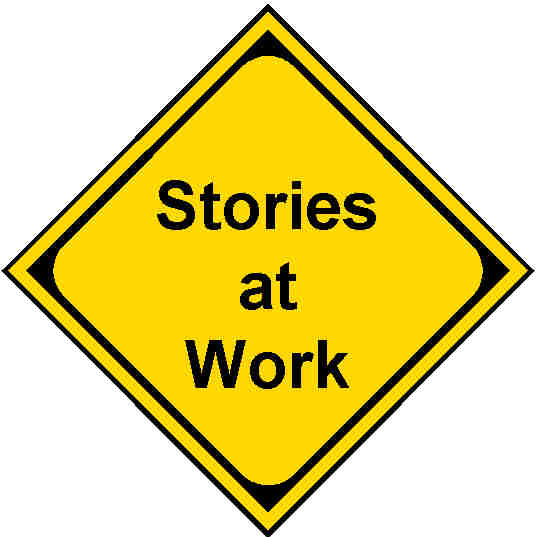 So I embarked on a self-directed study of the craft of storytelling. I read bestselling novels, studying them and analyzing their structure (see my analysis of Hunger Games). I started reading books on screenwriting (see my review of Robert McKee’s Story), discovering that screenwriters were like novelists without all the words. They had worked out the art of storytelling, beat by beat and had no problem with owning the ancient formulas for telling a story. One of my greatest insights on how, in the right hands, storytelling formulas could produce a masterpiece that was anything but formulaic came when I saw the movie How to Train Your Dragon. It was based on a book that was almost completely unrelated to the movie. In other words, the screenwriters had taken a character or two, the setting, and completely rewritten the story. It was a middle grade animated kids movie about dragons and I cried repeatedly, cheered, and saw it about 5 times. I'm not even a fan of dragons (*ducks from fruit thrown by dragon lovers*). But that movie was brilliant! And armed with Snyder's Beat Sheet and McKee's insights into moving an audience, I could finally see why. It wasn't a lightbulb going on, it was an entire outdoor stadium lightbank blasting my mind. So I outlined what I had of Open Minds, realized it was a hot mess, recrafted a new outline and got busy with writing. There were still several drafts ahead of me, but finally I had the writerly tools I needed to carve out the story that Kira really deserved. What had come before was just the beginning. I soon realized that not only had I forgotten to write the second half of the novel the first time around, but there was, in fact, a whole trilogy to this story. I am now writing Closed Hearts (Book Two of the Mindjack Trilogy)—after a flurry of hyper plotting—and will be writing The Third Book Which Shall Remain Nameless after that. Ch 3: I'm finished! Oh wait. Maybe not. Ch 4: Write First, Then Outline - Wait, That's Backwards? 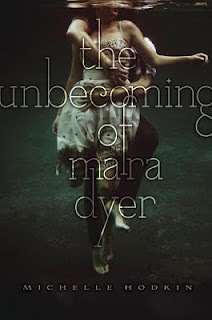 I’ve been so jealous of friends who that their hands on ARC’s, and I recently won a copy of The Unbecoming of Mara Dyer. I won’t do a full review here, though I’m trying to put one together for Goodreads. My head is still swimming a bit. This morning, I sit here staring at the cover, and I can’t help think about the old phrase, “You can’t judge a book by its cover.” I wonder what prompts me to buy a book. Not when friends have recommended or it’s a choice for a book club, but when I’m browsing, and I just can’t stop myself from clicking buy. I am slightly embarrassed to admit that I fall for a great hook and a good cover every time. She believes there must be more the accident she can’t remember that killed her friends and left her mysteriously unharmed. There is. And the cover … it’s really lovely with amazing subtext. How will I know? How do you know? Songs and movies all ask the question which implies a simple answer. Betty Everett and Cher said, “It’s in his kiss.” According to Whitney Houston, you’ll feel shy and week (need to resist conducting critical analysis of those lyrics right now). I’m less concerned about the asking the question that begins a relationship; instead, I’m focusing on the end. If you've got a full manuscript, you might want to check out this micro synopsis contest! I like this agent a lot, and he seems really responsive, so have at it. I am completely stealing this week’s blog from my fellow writer and motivational partner, Tia. She wrote a great piece about the value of time. I admit that I am a little obsessed with time—just ask my kids how often they hear, “Hurry up, we’re going to be late,” even though we pretty much never are. On the first day of public speaking every semester, I ask students who the best and worst speakers they ever saw were, and I put a list of characteristics up on the board. I never name names on my worst, but I tell them the worst thing you can do when speaking to me is waste my time. I cannot stand when people read me a handout, for example, when I could just as easily read it myself. That isn’t to say I don’t throw away plenty of hours even in a single day, but such a priceless commodity commands more respect. Sometimes, I even wonder about the value of my writing time. If I didn’t write, I’d have more time, for sure, but how would I spend the “extra” time if not writing? Of course, perception matters. Another person could perceive everything I do to be a waste of time and vice versa. Everyone's a critic. 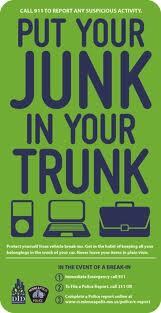 Be more responsive to it. 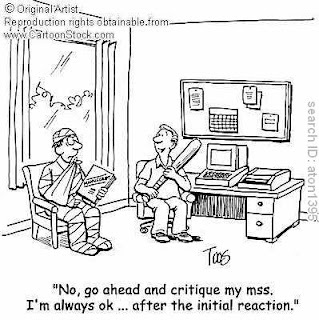 I find that once I’ve proven myself in an area, I’m less apt to be ruffled by negative comments. I’ve been teaching a long time. That does not mean I’m a perfect teacher, but by and large I know my strengths and weaknesses. I don’t worry that negative feedback there will throw me off balance or call into question my choice of profession. Today is my daughter’s tenth birthday. I’ll spare you the complete emotional melt down, but please allow me one moment of freakout. HOW IN THE HECK CAN SHE BE TEN? SHE WAS JUST BORN YESTERDAY! Whew, okay, I feel better, now. Here we both a decade ago--ah youth. Everyone either knows or has read about how motherhood changes a person—how much your life revolves around that little dependent being. How your self-esteem suddenly deflates when a baby doesn’t sleep or swells when she can write her name. 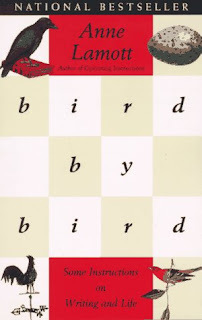 This week, a friend reminded me of a book I’ve been meaning to read for a while, Bird by Bird by Anne Lamott. I’ve only had a brief chance to peruse it, but I was struck by how her writing lessons mirrored parenting lessons—perhaps some lessons are just generally important in life. She writes, “Very few writers really know what they are doing until they’ve done it.” I laughed a little at this one. I’ve written plenty of things that turned out to be pure crap, but I didn’t know that at the time. Likewise, a select few things haven’t been all bad, but I didn’t realize it in the process, either. As crazy as it sounds, we’re half way through the year. Do you need a second to process that? A good time to assess progress in various areas. Since I’m smack dab in the middle of what I’ve deemed “the best summer ever” I’m staying light this week. I glanced at my list of books read so far in 2011, and I decided to share my top three. 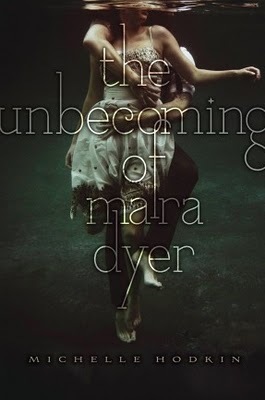 By walking through why I enjoyed these novels, it gave me a chance to reflect on some things in my current works in progress that may need tweaking. Heck, it might also add to your summer reading list. It probably won’t surprise you that they are all YA. I’ve listed the books in the order I read them. Now, of course, I'm behind in reading and writing, and I'm anxious to put these lessons to work for me.